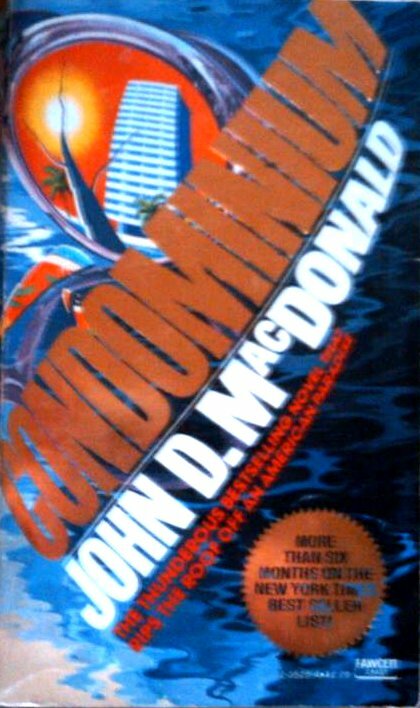 I’m pretty sure that this is the first paperback edition of Condominium, one of JDM’s later mainstream efforts. And not bad, either, if memory serves. This is one that I’m looking forward to re-reading to see if it’s still as good as I recall. The cover? Meh. Not much art to it, but at least the art covers the whole cover. It’s also almost impossible to scan it well because of the shiny foil. Have you seen me? I am a USA hardcover version of Condominium, printed in 1979 by Harper Collins (ISBN-10 0517287617, ISBN-13 9780517287613).